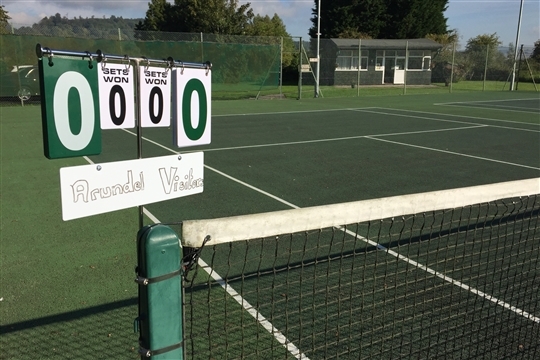 ALTC is a small but thriving, friendly tennis club in the heart of the historic town of Arundel, situated on the edge of the South Downs National Park. Set against the backdrop of a medieval castle, the club boasts a stunning location for our three hard courts (macadam), two of which are floodlit. We offer tennis to suit a wide range of standards and ages. Whether you are a complete beginner or an experienced player, a junior looking for coaching and development or a "rusty racket" returning to tennis after a long break - you are sure to find a welcome and play to suit your needs. The Club is affiliated to the Sussex LTA and enters teams in the Men's and Ladies' Wilson Sandford Doubles leagues, as well as having a men's team in the AEGON league. Our weekly tennis programme includes hosted drop-in Club sessions and group coaching sessions, in addition to which we hold regular tournaments and social events. Coaching is offered through Colin Piper – our fully qualified (Level 4) head coach. Colin offers a range of coaching options including individual and group sessions for both senior and junior members. For more details please call Colin on 07767 815722 or send him and email. We are always happy to welcome new members, whatever your background or level of tennis. Please see our membership page for details of the full range of membership options and promotions available .